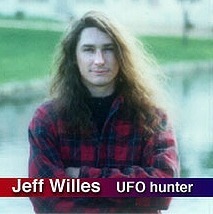 Jeff Willes, a resident of Phoenix, Arizona, is fast becoming one of the stellar names in the growing field of UFOgraphy. These diligent videoclad skywatchers capture untold hours of daylight UFO footage that is truly changing the face of the UFO Phenomena forever. Jeff has always made it point to generously share his findings openly and freely with the public, at his own website and by graciously allowing other sites to feature his hard work, in the spirit of free disclosure and mutual understanding of the UFO phenomena. It is paramount that we support these undaunted hunters of the skies, as they will surely be the ones who capture that soon-to-be infamous, undeniable, world-shocking footage that even the Government won't be able to deny. Jeff, when was your very first UFO sighting, ever? The first time I saw a UFO was in Seattle WA when I was 10 years old (1980). I was coming home from the swimming pool in the town of Bellevue, WA on my bike. As I took a left off of Lakehills road, I saw what looked to be a box shaped craft with a cone shaped top. It went over-head and down passed the houses, then down into the woods, like it landed. This was a place where there was tall grass and lots of tall trees at the time. It is called the "Lake Hills Green Belt." I think that it landed back by the old base ball club house. Like many UFO 'experiencers', do you feel there is some psychic connection between you and these craft and their occupants (presuming you believe these to be craft with occupants)? Yes, I think there is a psychic connection between some of these craft and the occupants. But some sightings don't have this connection, I am not sure why. I think it might be becuse some of the sightings may be from black projects of some kind. Some people would say it's just absurd to believe one person could capture so many UFOs. However, as I understand it, there's a 'method to your madness' that if employed by others, they might get the same results. Can you explain your basic process for capturing UFOs in such prolific numbers on video? Yes, back over 1200 years ago Maya priests prophesied that the solar eclipse of July 11, 1991, would herald man's encounters with "masters of the stars". On that day, at the time of the eclipse, people all over Mexico City videotaped UFOs. So I was thinking all we need to do to see more UFOs is to block out the sun with the side of your house and video tape in the suns corona, where a lot of people videotaped UFOs that day. And it works too, though most of the UFOs I videotape are not videotaped by use of this technique now. Most of them are away from the sun, I now can spot them all most anywhere in the sky now. What would you say is the closest UFO experience you've ever had? Has it all been Close Encounters of the First Kind (observation from a distance)? I would say the closest experience I had with a UFO would be the one I saw when I was 10 years old back in 1980. I have had missing time and I have those scoop marks people report, as well as seen small alien looking beings at night in my room from time to time. I dont recall if I was abducted or anything like that. I dont ever recall being abducted, but I dont rule it out. Most of the research shows that after a abduction all traces of the event are effectively erased from memory. Yet, under hypnosis, many abductees were able to recall in vivid, convincing detail the event. I think the abduction reports may be why we see so many UFOs now. I personally find it uncanny that you were present to capture the 'daylight' Phoenix Lights, which appeared many hours prior to the now famous "Phoenix Lights" which appeared over the city that evening. The footage you have of these lights is remarkable. Can you give us some idea of your thoughts that day, and especially later in the evening when the big event took place? The day the "daylight phoenix lights" appeared, I was thinking what were those lights I videotaped, they were not planes thats for sure. Later that night when the big event took place at 10:00 pm, I was thinking this was some sort of diversion that was taking place after the 7:30 pm and 8:30 pm sightings. My first thoughts were that the 10:00 pm lights were flares and the 7:30 pm and 8:30 pm sightings were the real UFO. After looking at all the videotape shot that nite at 10:00 pm , I am thinking that the 10:00 pm sighting have about a 50% chance of being flares. If the 10:00 pm lights were on the phoenix side of south mountain then they were UFOs becuse I dont think they would drop flares over the city. The military said they did drop flares at 10:00 pm south of south mountain. Which means people that taped the 10:00 pm sighting from Phoenix saw the lights go out as they droped behind the mountain. Its is all still a big mystery. How often do you find yourself caught off-guard, without a camera, and see a UFO? Not that often, I take my videocam every where I go. I do see lots of UFOs that do not get videotaped becuse they go away before I can get the videocam on them. How does your family take all this UFO skywatching? Do they share your passion? My family supports my skywatching, but they dont share the passion that I have to hunt these things down and get them on tape. I dont think there are a lot of us out there. That's the pity -- if there were more Jeff Willes' out there with this or even half the level of dedication, UFOlogy would be advancing by leaps and bounds. 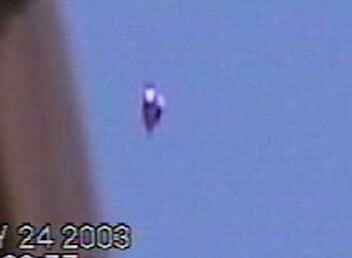 A lot of people asked UK's Anthony Woods why he never went out and bought a massive telephoto lens in order to get closer, clearer shots of these often high-flying UFOs, not realizing the expense of such a thing, much less whether one would even work with his existing video equipment. I know people have asked you the same thing and it's probably an irritation. Have you considered trying to raise money for superior video equipment with super-telephoto capabilities? Or are there other complications involved which would make such equipment useless of which people are unaware? Yes, my video that I sell on my website "UFOs Over Phoenix" helps us raise money to get a telephoto lens and to keep the website online. But not vary many people know about my video, so we are hoping this will change and more people will buy the tape. We would take any donation to help with the expense of new equipment. We need a better super-telephoto lens and a video laser as well as a remote for my videocam to stop shake. I hope people that read this will at least check out the video to help us out. If someone out there has the money to help us out with a good donation of a few hundred dollars this would help me get what I need, as well. Having seen your Phoenix I and II tapes, I can attest that they are jam-packed with so many clear, incredibly mind-boggling shots that anyone watching will simply be saying "Wow!" and probably a few expletives for the duration! You've captured some of the strangest daylight phenomena to date, and one distinct and undeniable Flying Saucer, turned on edge, that is so close, so vivid that it made my heart skip a few beats. I remember even your voice of shocked reaction when it came into view while you were shooting. Stills and MPEGs just don't do it justice. People have to see the full video. Even the spinning energy field around the disc is clearly visible. 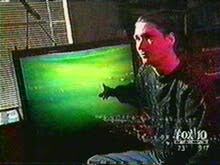 For the record, Jeff has never witheld footage from the public, and you can see a lot of his material at his website www.ufosoverphoenix.com. I notice almost all your work is in the daytime, which is great. A lot of lights in the night sky can be anything from satellites to distant planes, etc. Do you avoid night shooting for this reason, or is there more to it than that? Yes, I do avoid night shooting for this reason. But if the UFO is low and making moves that planes dont make, or weird lights that don't fit the way a plane would look then I would tape it. If its just a light far away it could be anything, like you said. I like to shoot in the daytime becuse it is easy to see UFOs in the daytime for me, and easy to tell that they are not planes and such things like that. It should be noted that on Jeff's tapes, he shoots planes and helicopters at various altitudes and distances from the camera to demonstrate that the rest of the footage you see cannot possibly be planes, balloons or known craft. Have you ever had your material officially analyzed by photographic or videographic experts? And if yes, what sort of conclusions have they come to? One of my videos was analyzed by FOX 10 news and Jim Dilettoso. The only conclusions that they could come to was that the UFO was far away from the videocam and moving vary fast. I am sure more of my footage will be analyzed by more videographic experts as time goes by and more TV shows use my footage. Do you have a personal theory about UFOs? 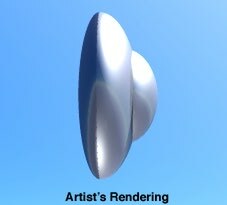 I think some UFOs are alien space craft, and some are experimental or government aircraft. I think there could be lots of different aliens and craft coming to earth for different reasons. What percentage of the UFOs you've videotaped would you say are likely to be experimental government aircraft, versus "from elsewhere"? 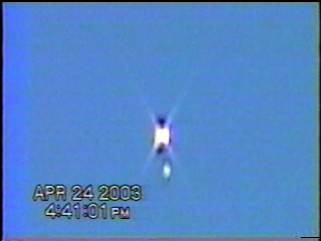 Why do you think Phoenix is a hotbed of UFO activity, especially in broad daylight? Or do you think this is happening everywhere and the rest of us are just not doing due diligence to watch our skies? Yes, I do think Phoenix is a hotbed for UFOs, especially in broad daylight. I think this is because the aliens don't care if we see them or not. I think this is happening everywhere, however in some cites more so then others. This may be due to sacred grounds, leylines and such. Most people I think don't watch the skies. Of the classic cases in UFO history, which ones do you feel are the most profound, or which have the most convincing evidence to pass the Jeff Willes personal index of "real" versus "phony"? Roswell? Betty & Barney Hill's Abduction? Bob Lazar's up close UFO/Hangar experience? The classic UFO cases that have impressed me the most would be Roswell and Bob Lazar's experience. I am vary impressed by the Betty & Barney Hill case, I did read the book and think the case is true. I am all so very impressed by the books of Bud Hopkins, Whitley Strieber and Raymond Fowler. When it comes to clear photos of UFOs, I think the most profound would have to be the Gulf Breeze photos by Ed Walters and the Swiss photos by Billy Meier -- if real. Yes, there is the rub. Some believe we were inundated with quite a lot of staged and phony UFO photographs and reports, especially in the 50s and 60s. There is even an on-going controversy over the Gulf Breeze material from Walters, though without a doubt, everyday citizens have seen similar, if not identical UFOs in Gulf Breeze and even videotaped some of them. None, of course, as shockingly clear as Walters.' It does beg the question, when someone takes the ultimate, vivid UFO shot... will we believe it? How do we react to it? Can we really put it to analysis that is trustworthy? Especially in this age of digital manipulation. I think for such a shot or footage to ever take hold it would require a large witness base to back it up. The lone shooter is always going to be doubted. One thing about your footage is that the altitude of the objects you are shooting place them far beyond the range and ability for you to fake, which I find an impressive element. It also tells us these objects are extremely large, so we know that anything that big in the daylight sky making maneuvers has to be within the scope of many government and aviation agencies who are remaining silent on the issue. Finally, if an alien craft were to land and make personal contact with you, would you go aboard upon invitation? Would it bother you to be paralyzed against your will and "taken"? Yes, I would much rather come aboard of my own will and not be paralyzed. But yes I would come aboard if asked. I would not like to be paralyzed at all. I would like to thank James Neff & Jeff Rense for this interview. No, thank you! And thank you for all your hard work in UFOlogy and UFOgraphy!